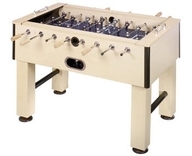 The Shaker foosball table falls in the middle of the road in terms of the tables that are made by the Fat Cat brand. 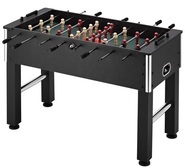 The Shaker has all of the basics we look for when reviewing a foosball table, but lacks some of the competitive parts found on tournament tables. 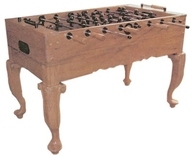 Also, it lacks some of the convenience foosball table features like adjustable legs, side ball returns, and cup holders. 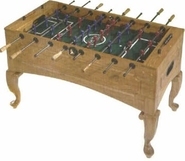 The Shaker table does have a solid oak wooden cabinet, wooden handles, and 3 man goalies. 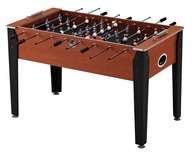 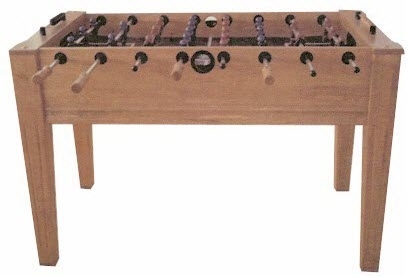 This foosball table is priced at around $600 US.